Actress America Ferrera and a group of actors and activists have spoken out against the Trump administration policy requiring migrants seeking asylum in the United States to have to wait in Mexico instead. The actress led a group including Gina Rodríguez, Eva Longoria, Kerry Washington, Kendrick Sampson and Roselyn Sánchez to a shelter in Tijuana, Mexico, across the border from San Diego. 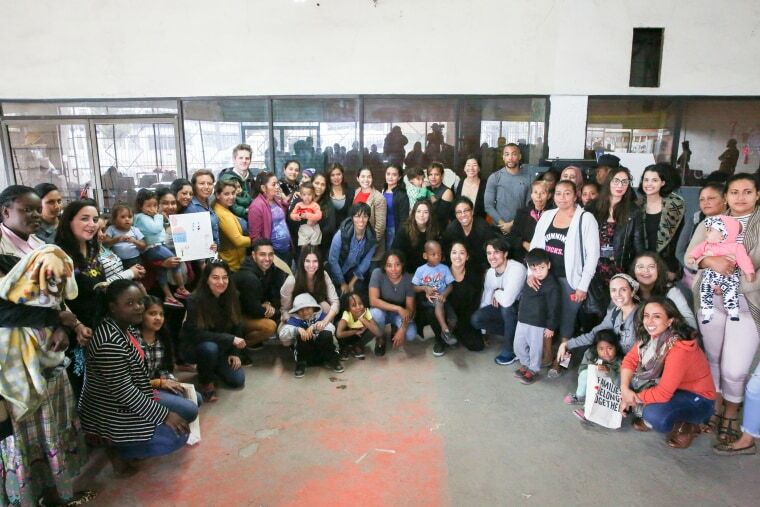 The group met with immigration lawyers and shelter managers, spent time with children and listened to families detail their journeys from Central America through Mexico seeking asylum. “It is easy for me to look at these human beings and see myself,” Ferrera told the Associated Press about the visit on Sunday. “This could very easily have been my reality in this lifetime,” said the actress, whose family is originally from Honduras. Under the policy enacted by the Trump administration, U.S. border agents process only a handful of asylum requests per day. And even those who file for asylum are not allowed to wait in the U.S. while their immigration case is pending; they have remain in Mexico until the process is fully over, which could take months or years. The slow process has clogged the U.S. immigration system by creating case backlogs and overcrowding shelters in Mexican border towns. Most shelters can only accommodate a few dozen migrants at a time, even though thousands of Central American families, mainly women and children, have recently made the journey north, citing violence and poverty as their main reasons for leaving. The group went with the nonprofit advocacy groups Families Belong Together and Harness — an organization started by Ferrera, Wilmer Valderrama and Ryans Piers, who also attended the trip.